Alessio Villa, Country Manager Italy of Haier Europe. Haier Europe reorganizes its commercial activities in Italy, adopting a structure that is closer to the market and to the distribution channels. 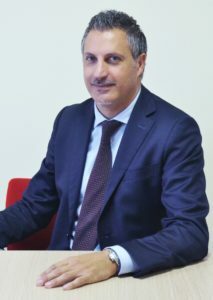 To better support its growth strategy, Haier Europe has defined the new commercial structure for the Italian market, starting from the appointment of Alessio Villa as Country Manager Italy, who will report directly to Semmy Levit, Chief Commercial Officer of Haier Europe. The five Sales Directors of channel and brand will report to the Country Manager: Federico Mangiacotti maintains the position of Market Director for the Haier brand with the aim of developing distribution and market share of the premium brand, Emiliano Garofalo as Sales Director of the retail channel specialized for the Hoover and Candy brands, Stefano Stazio as Sales Director of the furniture traditional channel for the Candy and Hoover brands, Alessandro La Malfa as Sales Manager for the online channel, GDO and indirect channels for the Hoover and Candy brands and Mirko Poggi as Sales Director of the Sell Out Team. In addition to the sales organization, Alessio Villa will be responsible for the Team Marketing Product and Communication, managing and coordinating the Haier, Hoover and Candy brands. Alessio Villa, after gaining experience in the Sales & Marketing area for important IT groups such as IBM and Acer both nationally and internationally, entered the Candy Group in 2014, initially with the aim of developing the Free Standing business. Later he assumed the commercial coordination for the whole Country Italy, both for Built-In and Small Domestic Appliances. “I am very honored with this new challenge and I am sure that, thanks to the new Italy team and our portfolio of brands and products, we will be able to be even closer to our customers in order to meet the needs of an increasingly modern consumer who looks for innovative and customized technological solutions”, said Alessio Villa.